I see some balloons that have some sort of decoration around the base. Some of them are laced and some look like a shirt or rug. What are they called and where can I find them. The pictures below are some examples. 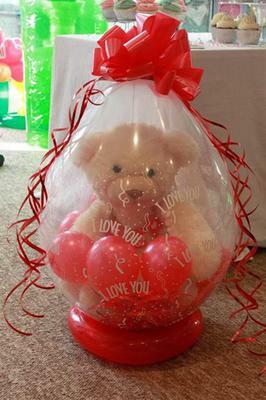 Also I would like to know what to use and how to wrap the circular balloon around the balloon saucer. A picture depicting this is attached. 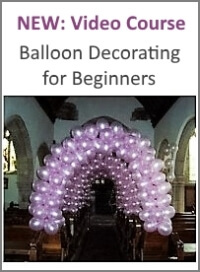 When you talk about balloon bases, you mean the bases for stuffed balloons, as you show in your images, right? The base of this stuffed balloon looks like it's a plastic balloon tray, filled with krinkle shreds. 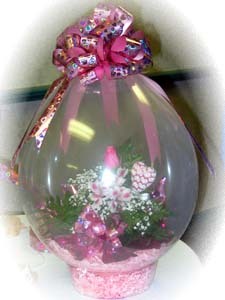 You can see (and purchase) these materials for example at the Gift in a Balloon website. 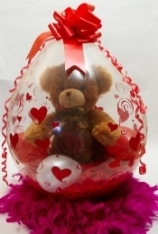 The base on this balloon looks like a feather boa, similar to what we used in our Marabou Balloon Heart decoration. 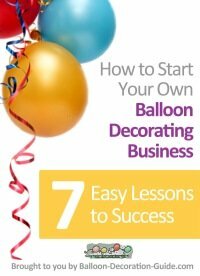 It should be fine to simply arrange the feather boa string in a circle below the stuffed balloon. Or you could glue it to a circle-shaped styrofoam board. The balloon used for the base is most likely a 160 modelling balloon (1 inch wide, 60 inches long). 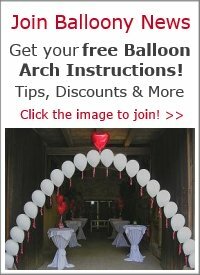 I am no expert in balloon twisting, so I don't know what kind of twist you'd need to create the round shape and keep it in place. 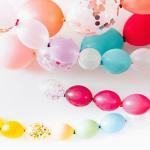 Good luck with your balloon stuffing!